I’d already collected two albums by the ensemble known as fantasticus, one of french chamber works (Sonnerie and Other Portraits) and one of a more esoteric sampling (Baroque Chamber Works). 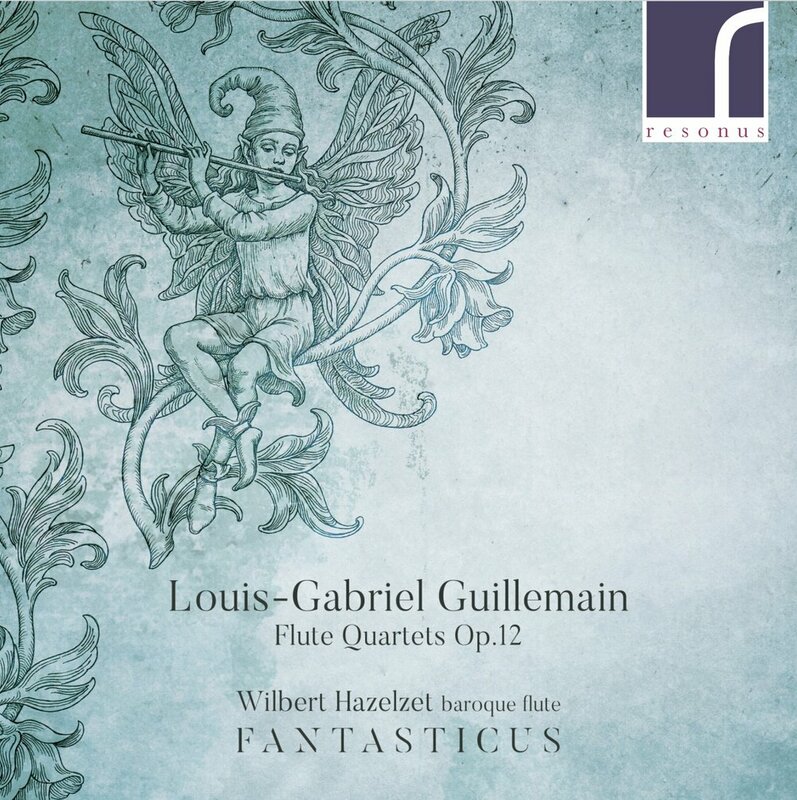 In their most recent recording, they focus on the opus 12 flute quartets by Louis-Gabriel Guillemain. As a string/harpsichord ensemble, they are joined by well-known baroque flautist Wilbert Hazelzet. Guillemain was a violinist (1705-1770) and the liner notes point out that he published two collections of “quartets” with flute, and this set, the opus 12, is the first of the two. It also provides what biographical information is known about the composer. The pieces certainly cast a whiff of French fancy, but not in the same guise as the earlier pieces, say, of François Couperin. Guillemain is a later composer and many galant elements dominate his style. I don’t own a lot of Guillemain but his celebrated third sonata from opus 12 was featured in a recording by the ensemble Nevermind. It becomes fair, perhaps, to compare the two performances. Both are nice to have. In this recording the players are further from the microphones and the ensemble’s overall sound is lighter and delicate. In the third movement, there’s more jaunt to the Fantasticus performance, despite the slower adopted tempo. Many times, I tip my hat to the gamba playing in the Fantasticus recording. I notice more ornamentation and dynamic contrast. To the credit of Nevermind, they play more confidently, and especially in the last movement, this confidence matched with their chosen tempo is more satisfying. I always enjoy complete collections of pieces, even when I don’t listen to them wholesale at one go. Hazelzet integrates well with the trio known as Fantasticus. They take their time in spots, but I think it’s all very acceptable and in support of Guillemain’s gallant style. My primary want for the recording is better miking so there is less “air” captured in the sound. This is combatted somewhat listening off headphones with a loudspeaker system.